Iqela Events is proud to once again be hosting some fantastic sporting events in the spectacular Western Cape winelands and surrounds. 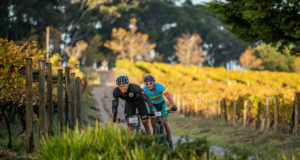 The Cellar2Cellar Trail Run and Wine Experience on 3 September takes place in Stellenbosch, while the Slanghoek and Jailbreak triathlons are similarly much-anticipated events on the province’s sporting calendar. Cape Town, 23 August 2016 – Iqela Events is proud to once again be hosting some fantastic sporting events in the spectacular Western Cape winelands and surrounds. The Cellar2Cellar Trail Run and Wine Experience on 3 September takes place in Stellenbosch, while the Slanghoek and Jailbreak triathlons are similarly much-anticipated events on the province’s sporting calendar. “The Cellar2Cellar Trail Run offers the best that Stellenbosch has in the way of wine, beautiful scenery and outdoor athletics,” says Pieter du Plessis, race director and founder of Iqela Events. 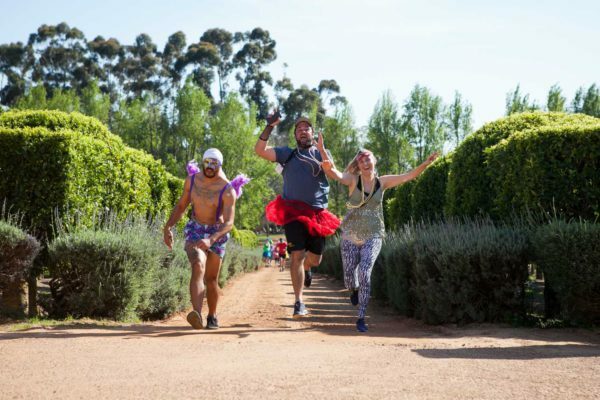 The event includes three options – a 12km trail run and a 20km trail run, and the 12km “flower-power wine experience”, with the added drawcard that the best-dressed male and female wins their weight in wine. Blaauwklippen, Waterford and Stellenrust are just a few of the wine farms that will be offering wine tastings along the route, with a Fairview cheese pairing. The Slanghoek Triathlon in the beautiful Slanghoek Valley outside Rawsonville runs over the weekend of 22 and 23 October. It caters for all categories, from beginners to elite athletes, with four different races to choose from. 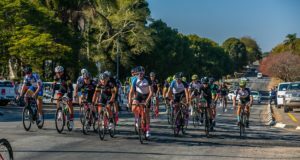 On the Saturday there’s the mountain bike triathlon, with the option of doing either a standard or a sprint distance, while on Sunday the road triathlon take places, also with standard- or sprint-distance options. This event has become a great weekend getaway for the whole family, with many festivities at the end of the races. This year, Iqela Events will be organising the Jailbreak Triathlon on 10 December for the first time, with a new route to be revealed early in September at a sensational launch at Land Rover at N1 City. “We’re very excited to be revitalising this well-known triathlon,” says Du Plessis. This themed race starts near Paardeberg at Doran Vineyards, with athletes and sponsors nominated to be “parole officers” or “prime suspects”. All athletes compete hard to win their “freedom” at the end of the race, and great prizes are up for grabs. Iqela Events specialises in organising exciting outdoor sporting and athletic events in picturesque surroundings, with fun for the whole family included at most events.